Virgin Media calls for Ofcom probe into Premier League TV rights | What Hi-Fi? Virgin Media has called on broadcasting regulator Ofcom to investigate how Premier League TV rights are currently sold in the UK, suggesting the current process is causing "significant consumer harm". The cable TV and broadband provider believes the way in which the rights are sold is driving up the cost to the consumer – although the Premier League has defended the process as being "transparent and open". According to Virgin Media, the process needs to be investigated by Ofcom because the next auction – due to take place "imminently" – is predicted to increase costs by a further 60 per cent. The company has already confirmed that it won't be bidding for the TV rights when they come up at the next auction, but it is still affected in that it has to pay for sports channels from Sky and BT. Virgin Media's chief corporate affairs officer Brigitte Trafford said: "The rapidly rising cost of live broadcast rights means UK fans pay the highest prices in Europe to watch football on TV." According to the BBC, the Premier League responded by saying: "Regulators have examined our rights packaging and sales process in considerable detail in the past and found both of them to be compliant with UK and European competition law." 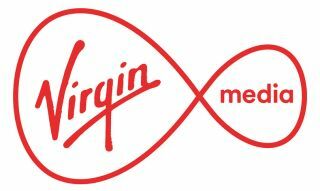 Ofcom is said to be "considering" Virgin Media's submission. Meanwhile, the Telegraph has reported that BT Sport has entered into talks with ITV over sharing some of the 350 Champions League and Europa League games it acquired for £897m last year. European football is heading to BT Sport after it trumped Sky Sports and ITV in the bidding process, a move that looked as if it would end ITV's 18-year association with the Champions League. No further details have been forthcoming so far and it's almost certain any such deal will need the consent of UEFA, but it could mean European football remains on free-to-air TV beyond the current deal that ends in 2018.